Home › Events › Zombie, RUN! Fall is here: there's a chill in the air, decorative gourds are on display, and leaves are crunching underfoot as you run... AWAY FROM ZOMBIES!!! 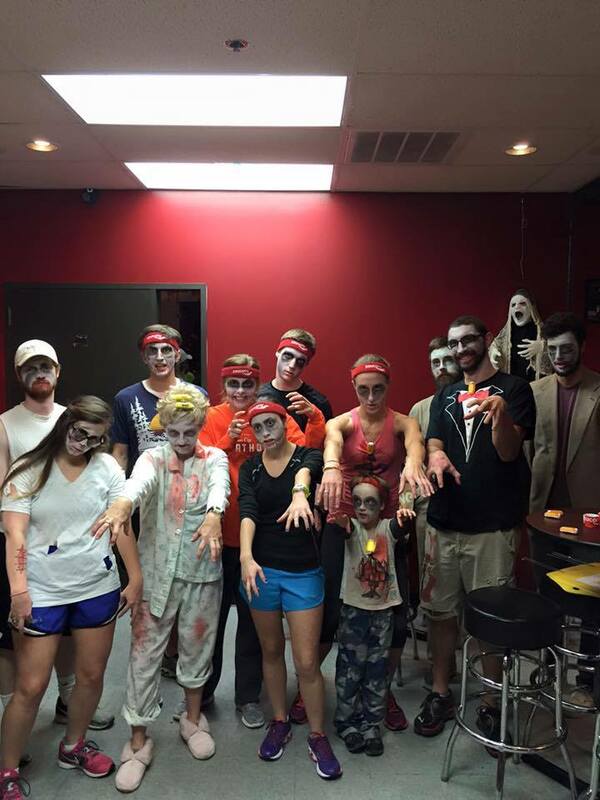 Join us at Raleigh Brewing Company October 26th for our annual zombie fun run. The terror - ahem, fun - will start at 6 PM this year, so the run won't be in complete darkness; zombies don't have the best night vision. We'll run a two mile course from Meredith College along the apocalyptic House Creek Greenway, a popular meeting spot for the undead. Afterward, celebrate your survival with raffle prizes, trick or treating, and tasty beer! Feel free to dress up as a zombie yourself, or wear any other Halloween costume. Kids or baby ghouls are welcome! Participants in our Spooktactular Virtual Race will also receive race medals after the run - if the zombies don't get your necks!